Eishin-Ryu has multiple branches for many generations. The main known ones had been covered in previous pages, which has brought us to the end of Edo period (江戸時代) and into Meiji period (明治時代). Another prominent figure emerged and gave Musojikiden Eishin-Ryu its name, Oe Masaji (大江正路). Born 1852, he studied under multiple styles of various martial arts. He trained under Hineno Benji, a famous Tosa swordsman. He also trained under Shimomura-Ha Eishin-Ryu, at that stage known as Muso Shinden Eishin-Ryu. Later on, he became a student of Tanimura-Ha Eishin-Ryu 16th Soke Gotō Magobei Masasuke (後藤孫兵衛正亮). Oe was hailed to be a genius in martial arts, extremely gifted. His skill and talent eventually ensured his place as the 17th Soke. With his background in multiple schools, he restructured the entire curriculum of Eishin-Ryu, incorporating all the techniques he has mastered from other disciplines. He was the one responsible in reorganising the techniques into Seiza-no-bu 正座の部 (essentially Omori-Ryu), Tatehiza-no-bu 立膝の部, Okuiai-iwaza-no-bu 奥居合居業の部, Okuiai-tachiwaza-no-bu 奥居合立業の部 and Tachiuchi-no-kurai 太刀打の位. Many techniques were re-named by him also. This made teaching Eishin-Ryu techniques more systematic. The name Musojikiden Eishin-Ryu is also said to have come from him after he re-structured the curriculum*. Oe Masaji’s contribution did not end with this. He was the Soke at a time where Japan is entering a new era. With the abolishment of the samurai class and banning of carrying swords in public (廃刀令 1876), traditional Japanese martial arts faced extinction. In fact, many schools did collapse. Musojikiden Eishin-Ryu Iaido is one of the largest Koryu Iaido school still in existence today has a lot to do with Oe Masaji. He changed the transmission model to one that allows any teacher to grant teaching permits to any number of students (完全相傳). This also explains why the expression of each technique can be so diverse amongst different dojos. By changing the model of the school, the school continued to have many students all over Japan attending, learning Iaijutsu as a form of body and mind training. The term “jutsu” (術) slowly replaced by “dō” (道). 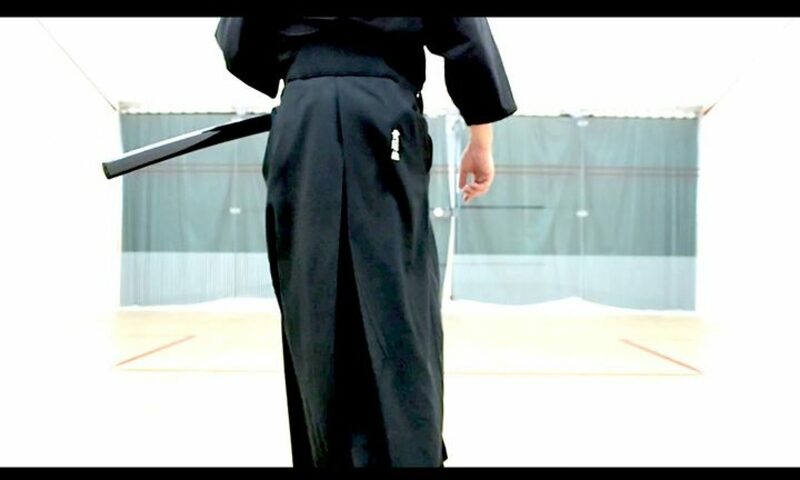 Iaido has finally made the transition from a fighting survival necessity to a martial arts for a peaceful society, one that has a rich history and cultural significance. *recent discovery of published literature in 1668s, a student of Hasegawa has once used this as the name of the school when documenting the school’s teachings. Some believe this has always been the name, and Oe Masaji merely revived its official use.